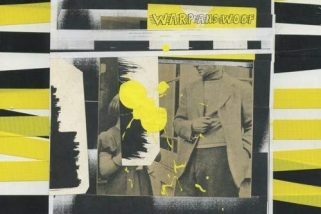 Fire Note Says: Columbus, Ohio band brings a new grit to the lo-fi rock that flourished in the 90’s. Album Review: From opening track “Finally” you know the number one influence of Columbus, Ohio band Connections, is Dayton, Ohio’s Guided By Voices. The song is only 1:14 long, the track is somewhat lo-fi and it still is able to find a pop sweet spot. Now it shouldn’t surprise you that Connections have a little more of an inside track than the 60 miles which separates the cities as singer Kevin Elliott and guitarist Andy Hampel were in 84 Nash. That band released the excellent The Kings Of Yeah on GBV’s Rockathon Records back in 1997 and even covered “Hot Freaks” on the GBV covers compilation Blatant Doom Trip (1998). So there is a little history there. Fast-forwarding to Connections, this massive influence is still present with Private Airplane but only certain components that make the difference between being a nice tribute to a piece of indie rock that feels fresh. One key element is the singing and lyrics of Elliott. Both pieces are much more straightforward in Connections as he just belts out songs here like the rocking “1980 Called”, that has a bigger sounding Japandroids vibe, while his lyrics are good at telling stories with very little wordplay, like on the heartfelt sing along “Cindy”. Another edge that Connections brings to the record that stands out is their out of nowhere guitar solos that have this J. Mascis (Dinosaur Jr.) strumming to it. With most tracks coming in under the two minute mark it does not seem like there would be much space for extras but Connections make the songs work with the ear catching bursts of guitar. Private Airplane is a solid record that makes 30 minutes absolutely fly by. The band sounds focused on giving the listener the best experience possible in the little time they spend on tracks. 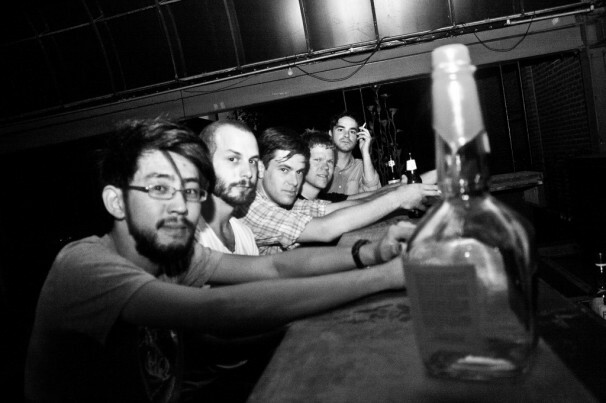 Their catchy lo-fi approach is a success because they have figured out how to harness their strength into shorter time frames while keeping it very modern and masterfully blending with the alt rock power of the 90’s. 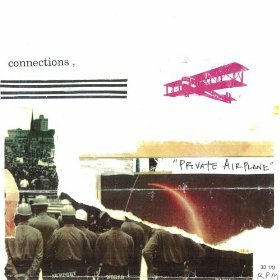 Connections Private Airplane is a timeless record that should be a must pick up for GBV fans and just keeps getting better with every spin!